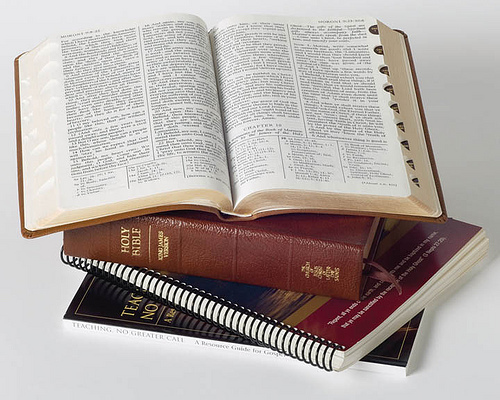 Bible, Book of Mormon, D&C, PGP, or Prophets: Which Scripture is most Important? A few weeks ago, in Gospel Principles Sunday School class, I taught about the importance of scripture. The conversation was interesting because there were some investigators (people considering joining the Mormon church) as well as some “seasoned” Mormons in attendance. When I asked questions about the importance of scripture, I noticed that most of the non-Mormons revered the Bible and most of the Mormons in the class acknowledged the Bible, but didn’t hold it as high as the Book of Mormon. For those of you who are not as familiar with Mormons’ view of scriptures, I’ll briefly go over each scripture along with some quotes by LDS prophets on each. Mormons believe that there was an apostasy after the original apostles died and over the years, parts of the Bible were removed, therefore the Bible is not the complete book that it once was. In fact, the Book of Mormon has scriptures that discuss the “plain and precious truths” that were taken away from the Bible, thus making the Bible an incomplete book as to containing the whole Gospel of Jesus Christ. Since this talk was given by Ezra Taft Benson in 1986, I feel that many Mormons have focused heavily on reading the Book of Mormon above any other scripture, which is what I witnessed in the Sunday School class. The Doctrine and Covenants (D&C) are revelations that were given to Mormon prophets (mostly Joseph Smith) dealing with various doctrines and organizational structure of the Church of Jesus Christ of Latter-day Saints (Mormon Church) that aren’t found in either the Bible or Book of Mormon in detail. Some of the key revelations (in my opinion) include: how to receive answers to prayer, organizational structure of the Church, Priesthood defined and execution of callings within the priesthood, revelation on the Three degrees of glory (heaven), and The Word of Wisdom (no alcohol, coffee, etc.). The Pearl of Great Price (PGP) has two books (Moses and Abraham) that Joseph Smith translated from papyri that was found. It contains more details on the first books of Genesis in the Bible. Joseph Smith’s history is also included here. The history is mainly his account of his First Vision, or when God the Father and Jesus Christ appeared to him and told him to reestablish Jesus’ church. In addition to these books, the PGP has the Articles of Faith (similar to a Creed), a revelation from a later prophet declaring it illegal to practice polygamy anymore, and a revelation extending the priesthood to black members. One of the unique aspects of Mormonism is the claim that their church leaders are prophets, or mouthpieces, for the Lord. As such, most Mormons believe that the writings of the apostles and prophet found in Church publications such as the Ensign are to be considered scriptural. Which Scripture is Most Important? A case can be made for each scripture. For example, without the Bible, there wouldn’t be any of the other scriptures because Joseph Smith was led to pray for guidance from a scripture he read from the Bible. On the other hand, Mormon prophets have declared the Book of Mormon the most important book…but if Mormons only had the Book of Mormon, they wouldn’t know exactly how to run the church and additional components to the faith such as the Word of Wisdom, eternal marriage, etc. wouldn’t exist. Finally, I can see how some people would feel that Modern-day Prophets’ revelations trump all of the other scriptures (such as doing away with polygamy and using water instead of wine for communion). Just for fun, I’ll close with a poll for you to rank what you feel is the most important scripture. Good post on LDS scriptures, what the are, and what they contain. All are certainly important to LDS theology. I just have a couple of minor corrections that should probably be included. First, the official declarations on polygamy and the priesthood are actually parts of the Doctrine & Covenants. Secondly, unlike the Book of Abraham, I believe the Book of Moses came from Joseph Smith’s translation of the bible, not from papyrus. Sorry to be so technical. Thanks for your blog!